Citrus Park Christian is heavily favored. They beat the defending champions, Oak Hall, by 65 at the Regional Championship and put their top seven in the top 15. With other regions in the mix, they may not be as dominant, but still could put five in the top twenty. If they win, it would be the first title in school history. Behind the formidable five of Jacqueline Abanses, Lydia Friedman, Brooke Santiesteban, Grace D'Angelo, Moriah Friedman, they have depth too in Jensen Mayer and Grace Phillips. And their 4-7 are within 30 seconds of each other and appear to be interchangeable on any given day. Something you like to see in a championship team. Circle Christian claimed the title in 2015. After finishing second last year, they try to return to the top spot. Sinkenesh Parker and Brooke McEwen are a proven 1-2 punch. They'll give them their best chance up front. However, they'll need Archike Parker, Mulunesh Parker and Caroline Spivey to run at or near 20 minutes to have a chance to unseat Citrus Park Christian. 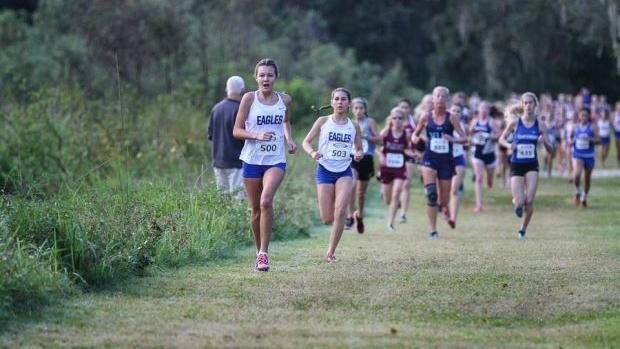 Providence, St. Joseph Academy, Maclay and Oak Hall are nearly identical performance wise and will be in a close competition for the third spot. 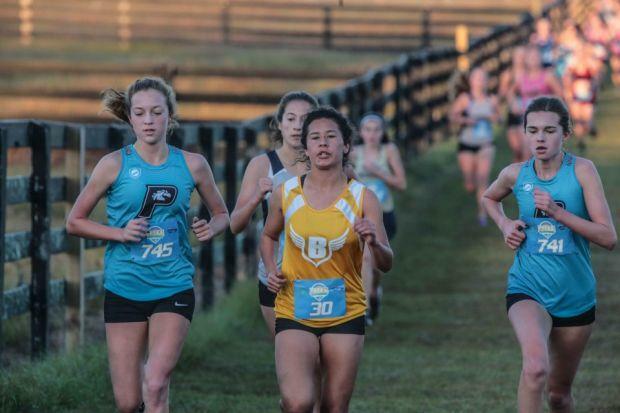 Oak Hall's Grace Blair cruised to an 11 second over Citrus Park Christian's Jacqueline Abanses at last week's Regional meet at Holloway Park. 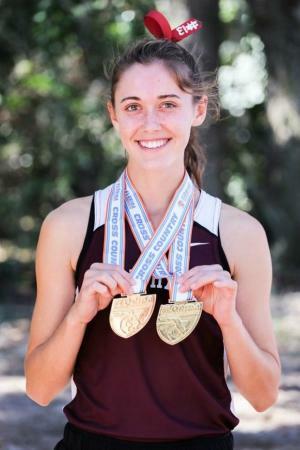 Since her win last year, Blair has been unbeatable in 1A competition completing the triple in track. She is head and shoulders above everyone and with already proven speed to go along with her added strength, she'll be tough to beat. Question is, how fast will she go? She has looked easy in both her post-season wins and looks primed to challenge her winning time of 18:22 from last year. That is tough to do for a tactical racer like Blair. A win will give her second title in a row and be the second in school history. Jacqueline Abanses, Sinkenesh Parker and Lydia Friedman are next best on paper. They'll need to post times of 18:30 to have a chance against Blair. A win by either of these athletes will be the first in school history. 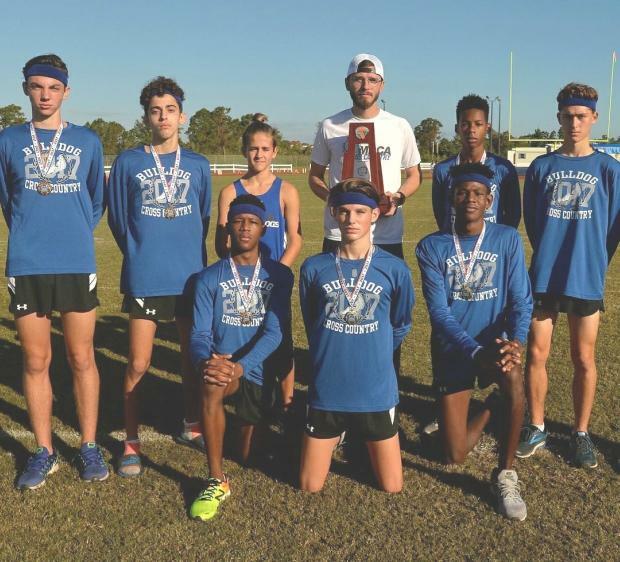 Mount Dora Bible Christian Academy is seeking it's first title since 1989 under Bill Ledbetter. They have two in school history- the other 1973, Cletus Stutzman. They stack up well against the field with the trio of last year's state champion, Gabriel Curtis, his younger brother, Mitchell Curtis, and junior Jackson Pruim all ranked in the top 16.The Curtis brothers have shown some moxie on the biggest of stages. Gabriel Curtis pulling the upset last year beating a heavily favored Chase Hyland of the Pine School by 14 seconds and knocking 19 seconds off his personal best. In the 3200m state track championships, Mitchell took 18 seconds off his personal best to finish a close third in 9:48.27. If the Curtis brothers have the same kind of race, Pruim could follow suit. Plus they have depth with Tome Flente, Sebastian Deleon being backed up by Noah Musselwhite and Nikolas Gibson. Very few teams run perfect on a given day, but if that Bulldog big time race magic is contagious, they will be tough to beat. 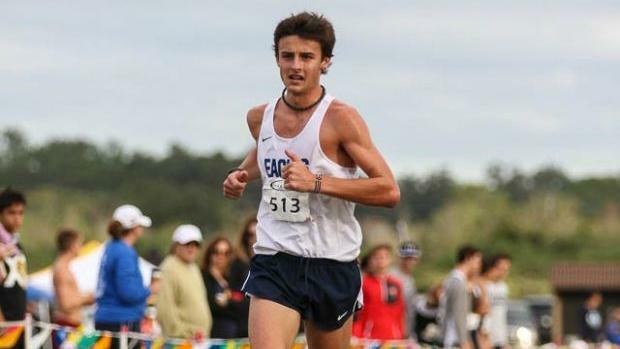 Citrus Park Christian's duo of Trevor Foley and Reed Legg could score a low of 3 points if they are able to have their best race. Even with a less than average race, they could still take the top two spots. But there's the rub. The best place Foley has finished is 28th at the state meet. Legg did not compete in the state cross country championships last year. There is no room for error as beyond their fifth man, there is a 2+ minute gap. Trevor Foley is the odds-on favorite to win his first individual title and the first in school history. He comes in 40+ seconds better than anyone else. But, funny things happen at the 1A state meet. Gabriel Curtis winning the last year and looking further back, Franco Martins storming to victory in 2013. Citrus Park Christian's Reed Legg gets to train with Foley every day and is probably better for it. He could challenge. 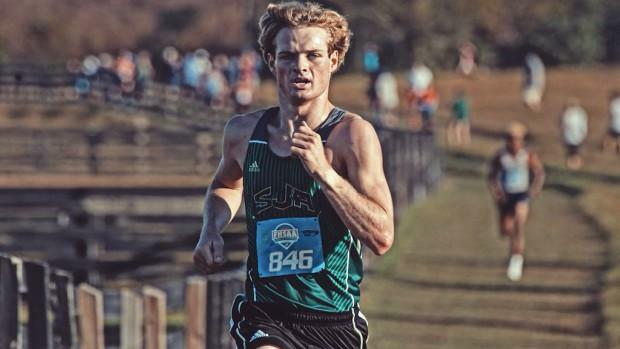 St. Joseph's Sean Snyder (pictured above) looked impressive dispatching Maclay's Junious Brown by 17 seconds at the Regional Championships. Snyder's coach, multi state champion and a big time racer himself, Justin Taylor, could teach him a few tricks that could give him an edge on Saturday. Highlands Christian Academy's Ryan Szklany, Jupiter Christian's Josh Skielnik both have state experience and could keep it interesting. And then there is the trio from Mount Dora Bible Christian. The congratulations abounded amongst the teammates after last year's state championships as the Bulldogs finished a hard fought second place (winning the tie) with Marathon. They embraced the challenge and performed. I wouldn't put anything past what they will do on Saturday.